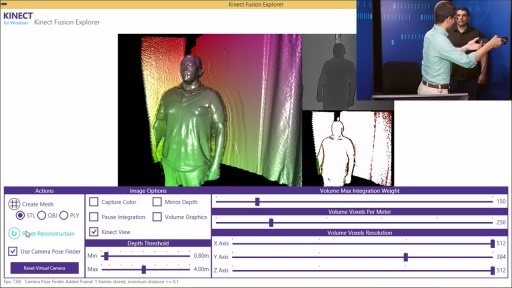 Find out how a Unity3D plugin allows you to use Kinect data and APIs in your Unity game or application. 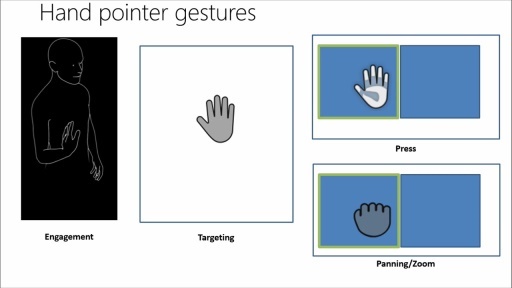 And learn about Kinect Common Bridge, along with support for Cinder and openFrameworks. See sample applications, too. I saw the video , i'm very interested on the particleman made with the DephtGeometryView on the minute 21:00 , i already have the unity3d package plugin for Kinect v2, i was working with the particleman from zigfu for unity and kinect v1 ( https://www.youtube.com/watch?v=TU90NyydEIo ) was very cool , but now i'm migrating to Kinect v2 and i like to know if this demo is going to be released, or were i can find more information about how to build a particleman on kinect v2. thanx. I have the unity Pro and i did the example in the video, in my unity run ok, but when intended to export to window 8 app i have some problem, please help me. Hi there, I just got the kinect V2 for windows and am trying to start unity development. I found some links to the package however they are now dead. I was wondering if someone can help me find it. Hi!I can't get the unity3d package,please help me! where can i download demo01 Unity?